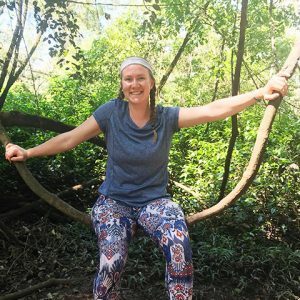 In January, Katie Surrey-Bergman traveled to Panama as part of ASU’s partnership with the Smithsonian Tropical Research Institute (STRI) in Panama to participate in a range of tropical based research, including biological field studies, sustainability, eco-services, and projects in marine and molecular science. She participated in the Neo-BESS ecological “boot camp” program, which is a program initiated and run through McGill University. 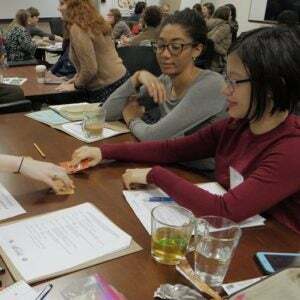 Together with a dozen students, she spent three and a half weeks learning and working with several prominent Smithsonian researchers, hearing about their passions, and assisting them in their projects. She got the opportunity to visit several of the STRI facilities including Barro Colorado Island and Coibita, one of the remote islands in the Pacific that STRI recently procured. 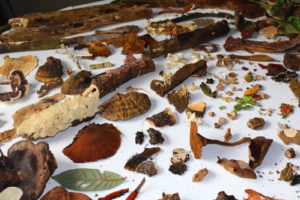 Some of the projects students participated in included field work with anole lizards, leaf-cutter ants, electric fish, mosquitos and ticks, and fungi, as well as coral reefs in the Pacific. 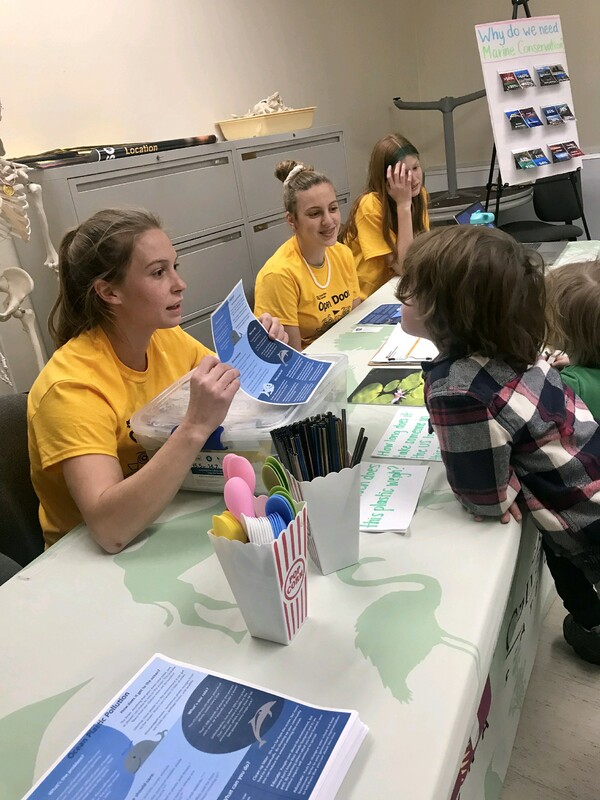 On Saturday, February 23rd, the Center for Biodiversity Outcomes participated in the ASU’s 2019 Open Door event. Every year, ASU hosts this outreach event to invite the community to come learn about the important research being done at ASU. This year CBO’s booth focused on marine conservation. In Marine Trivia, participants answered trivia questions that provide insight on the importance of marine resources and conservation. Graduate student Erin Murphy organized and developed the activities, and her and fellow lab member Katie Surrey-Bergman volunteered throughout the day. In Name that Fish, people guessed which pictured filet, was the fish they “ordered”. We then discussed seafood mislabeling. 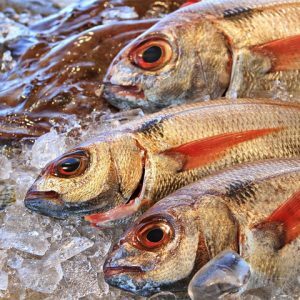 Twenty-five to 40% of seafood sold in the US is mislabeled. This has important implications for human health, conservation and cost, but educated consumers can be an important part of the solution. The final game, A Plastic Ocean, was the favorite of the day. People guessed how many pieces of plastic were in a clear container, how much it weighed, and how long it takes the average American to produce this much plastic waste by weight. Only a few individuals guessed close enough to win a free CBO t-shirt, but everyone was shocked that the 3.5 pounds of plastic was less than the average American produces each week. We gave out free reusable straws, reusable utensils, and a handout that provided more information on ocean plastic and reducing waste. Though we face many obstacles to achieving our goals for biodiversity conservation, presenting at the Open Door was inspiring. As people became more educated, their increased concern was clear. Most of us value a healthy planet, but often we do not know what we can do to be part of the solution. 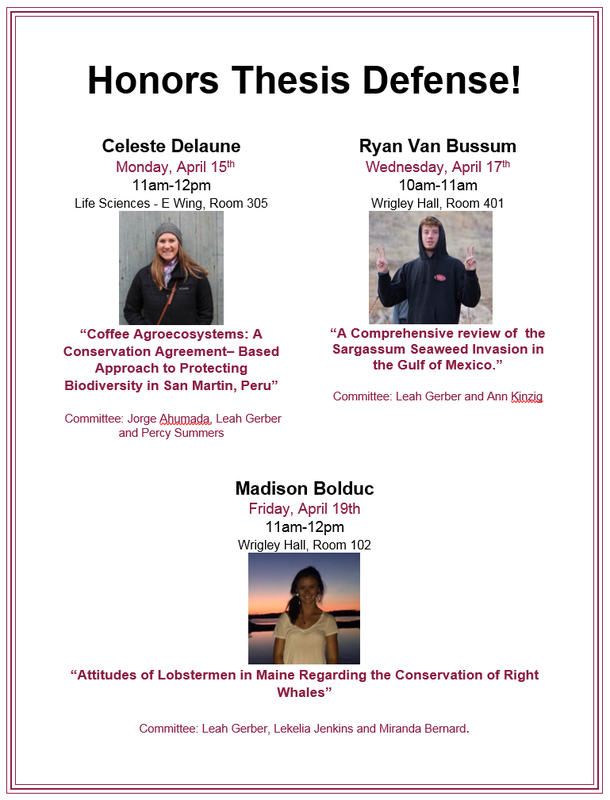 By participating in these outreach events, CBO hopes to continue building a community of educated citizens committed to conservation. The aim of the GSCO project is to work with the community to develop alternative economic opportunities that would enable the people to receive income without putting further strain on the dwindling natural resources. Several members of the community have already started their own cottage industries which include the creation of chocolate from the local cacao plants and braided jewelry and goods that are sold at the markets upriver. The new project hopes to support these existing endeavors, while also creating opportunities for new technology and language training. It is the hope that through establishment of a small tourism program and increased academic initiatives, such as volunteer and study abroad opportunities, more awareness can be brought to the plight of the area. Hopefully this will in turn foster further research investment that will sustain the project and create new opportunities for ecological preservation. Professor Leah Gerber co-authored a paper published today by Science magazine titled “Endangered species recovery: A resource allocation problem” [PDF]. The article highlights a new decision-tool recently developed in partnership with the National Socio-Environmental Synthesis Center for the U.S. Fish and Wildlife Service. 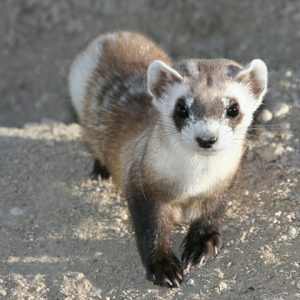 The tool will help inform USFWS on best funding allocations for more exponentially efficient endangered species recovery efforts. 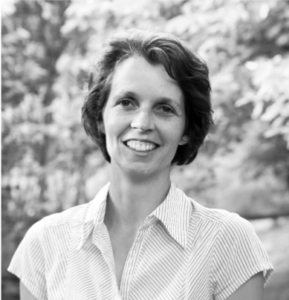 The Conservation Innovation Lab is excited to welcome Gwen Iacona who will be spearheading two conservation investment decision tools for the corporate sector. Dr. Iacona is an applied conservation scientist who uses quantitative and empirical approaches to understand how biodiversity outcomes can be improved by better decision making. Her current work aims to improve endangered species recovery by better understanding the risks and costs associated with recovery planning. Gwen specializes in using theoretical tools to study how the costs of conservation interventions influence the choice of actions and the resulting outcomes for conservation agencies. She will be developing Endangered Species Act compliance tools for the Electric Power Research Institute and Monsanto. Resource managers and policy makers have long recognized the importance of considering fisheries in the context of ecosystems; yet, movement towards widespread Ecosystem-based Fisheries Management (EBFM) has been slow. A conceptual reframing of fisheries management is occurring globally, which envisions fisheries as systems with interacting biophysical and human subsystems. This broader view, along with a process for decision-making, can facilitate implementation of EBFM. A pathway to achieve these broadened objectives of EBFM in the United States is a Fishery Ecosystem Plan (FEP). The first generation of FEPs was conceived in the late 1990s as voluntary guidance documents that Regional Fishery Management Councils could adopt to develop and guide their ecosystem-based fisheries management decisions, but few of these FEPs took concrete steps to implement EBFM. Here, we emphasize the need for a new generation of FEPs that provide practical mechanisms for putting EBFM into practice in the United States. We argue that next-generation FEPs can balance environmental, economic, and social objectives—the triple bottom line—to improve long-term planning for fishery systems. 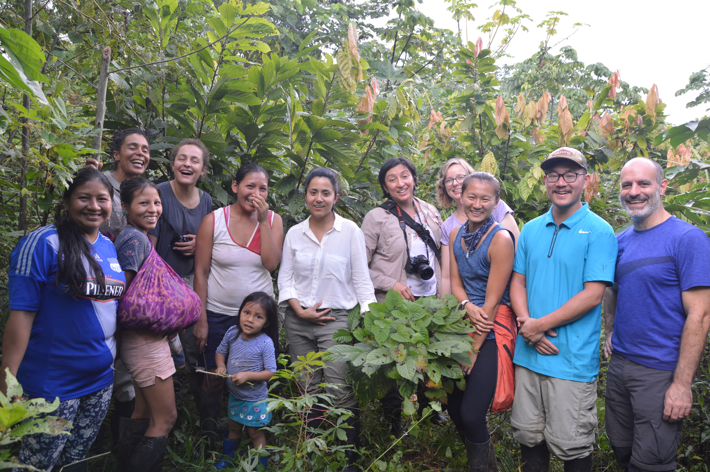 When ASU Barrett Honors College student Celeste Delaune walked into the ASU-Conservation International joint course Conservation in Practice (BIO 412) last spring, she did not know it would take her to Peru – literally. Under the supervision of ASU-CI Professor of Practice Percy Summers, Delaune worked in Moyobamba during the summer. 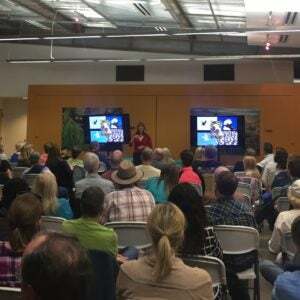 Conservation Innovation Lab members Heather Fischer and Miranda Bernard attended a public talk at the the Nina Mason Pulliam Rio Salado Audubon Center in Phoenix, AZ. Nature photographer and birding enthusiast Cindy Marple gave this month’s Birds n’ Beer guest talk. She provided an overview of biological and ecological information on the various seabirds and pelagic birding. Graduate student Miranda Bernard attended the Graduate Student Workshop on Socio-Environmental Synthesis at the National Socio-Environmental Synthesis Center (SESYNC) in Annapolis, MD this winter. The annual workshop is designed to facilitate collaboration between graduate students from around the world who are interested in interdisciplinary research projects. Activities included seminars on science communication, proposal writing, and data integration, as well as small break-out sessions.